We are a branding & design agency, 80+ people strong, working together to create leadership brands for our clients that transform, connect and endure. Davis supports world-class North American and global brands and has for over 40 years. We are a branding & design agency, 80 people strong. We believe that brilliant design is the result of smart upfront thinking and insightful strategy. We've been working with creativity and passion on North American and global brands for over 45 years. An astute business leader, Jeff leans on 20 years of experience in brand strategy, creative direction and client service to guide each facet of the business. Whether at work, at home or on the ice, Jeff does everything with passion and integrity. Jeff creates a supportive, empowering and solutions-focused environment in pursuit of Dramatic Simplicity™ and branding excellence. After getting past his British charm, you soon realize that Ben’s determination for the right creative solution translates into brands that endure. Ben has been collaborating with our clients for over 25 years, early on as Designer, then Creative Director and now in his current role. With a client base spanning several continents, his experience includes Quaker Oats, Frito-Lay, Kraft Foods and Mondelez. He also holds a seat on the Humber College Advisory Board. His reputation as a brand builder and steward continues to flourish … too bad we can’t say the same for his Canadian accent! Over 15 years of account service experience, with ten years managing Cadbury, Kraft and Mondelez confectionery teams, Brian has built a wealth of brand history knowledge and strong relationships. “Work hard and play hard”, that’s Brian’s motto. His enthusiasm and commitment to brand design have made him an invaluable member of the Davis team. He believes that the best way to build brand equities is through careful strategy, patience and distinction. Brian sits on the Georgian College Marketing and Advertising Advisory Board. Born with design blood in his veins, Chris was destined for a future of creative leadership. In fact, he lives and breathes it every day. Learning through family, school and over 20 years of branding expertise, he’s a chameleon of design, taking on any challenge that he faces. His naturally fresh thinking and intuitive strategy are the foundation of powerful brand solutions. Chris leads the design team daily in developing breakthrough ideas. His hands-on approach and creative spirit inspire and propel our team to new creative heights and results that perform for our clients. Passionate about brand strategy, Craig engages in demographics and category assessments to deliver succinct consumer-focused creative results. 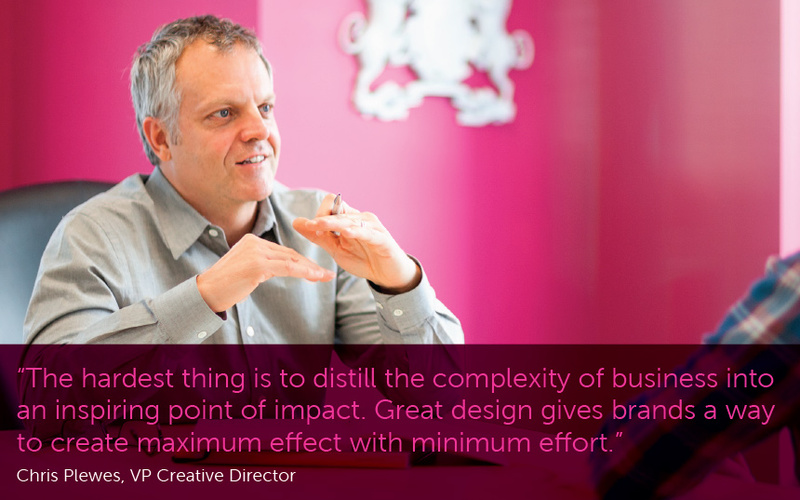 With experience as a designer he brings visual insights to every marketing challenge. His soft demeanor and sharp acuity guide our account and creative teams to solutions that make noise. 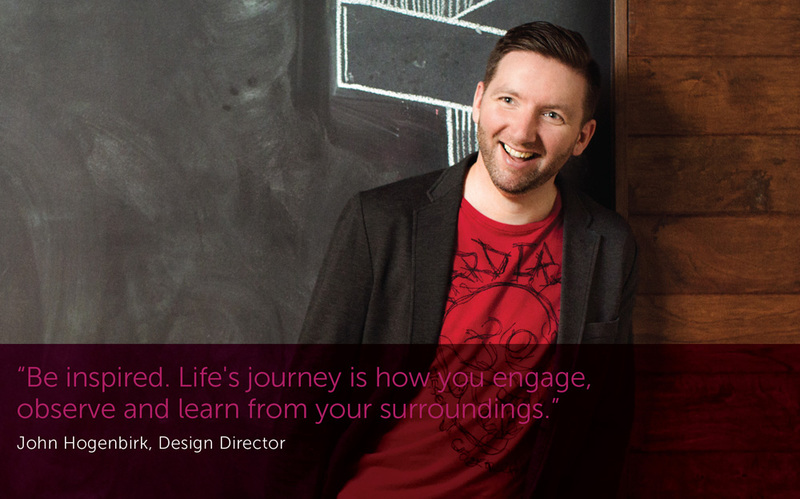 Craig holds an Honors Bachelor Degree of Design from York University and Sheridan College. Dawn leads clients on purposeful journeys of exploration and discovery to reveal valuable opportunities and strategic insights. Supported by a background in research, she has a deep understanding of consumer behavior and mindsets. She is an engaging and thoughtful collaborator who believes that genuine communication creates meaningful connections with powerful outcomes. Spanning more than 20 years, Dawn’s career is rich with agency experience in senior strategic roles, partnering with clients in Food & Beverage, Pharma, Tech, B2B and not-for-profit categories. The spark that led to Erick's career began in grade five, when he won a competition for his school newspaper design. With over 19 years of experience now, his innate ability to weave together art, form, strategy and content make him a powerful visual communicator. Erick also has corporate branding and advertising experience, strengthening brands like Workopolis, Bell, Hudson’s Bay, Purolator, Corona, Queen’s University, Stratford Festival and Coca-Cola. Although having won many awards, it’s always been about the ‘idea’ and when expressed through design, the possibilities are exciting and should be deeply meaningful. 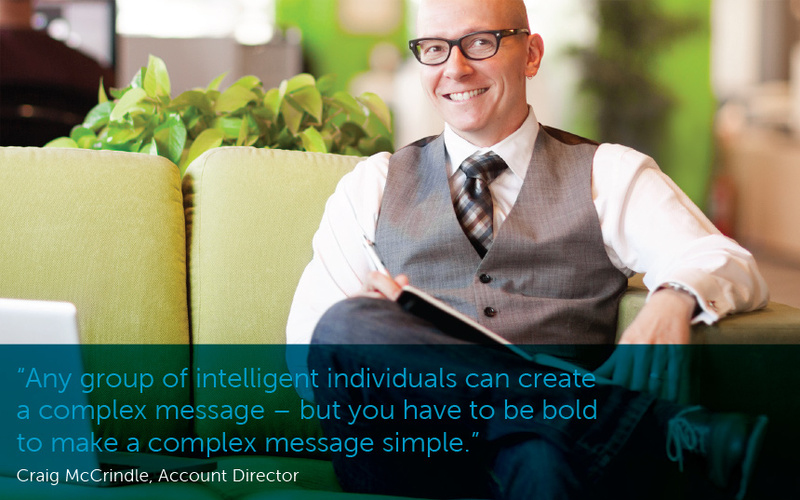 John brings fresh energy and creative insight while pushing strategic boundaries that engage audiences. He gains inspiration through travel and seeking out unique adventures, most recently designing in Hamburg, New York and Australia. His current portfolio includes award-winning designs with top-tier global companies like Energizer, Mars, Post, Johnson & Johnson, Mondelez, and Unilever. 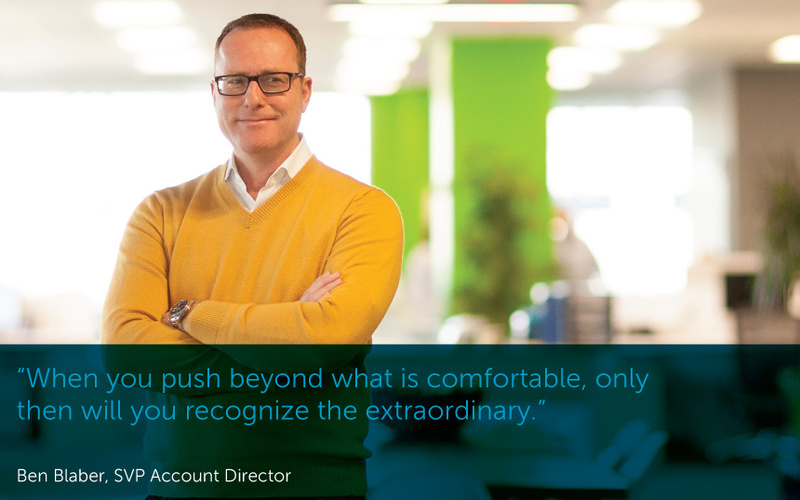 With over 12 years design experience, John is driven by passion and fueled by challenge. 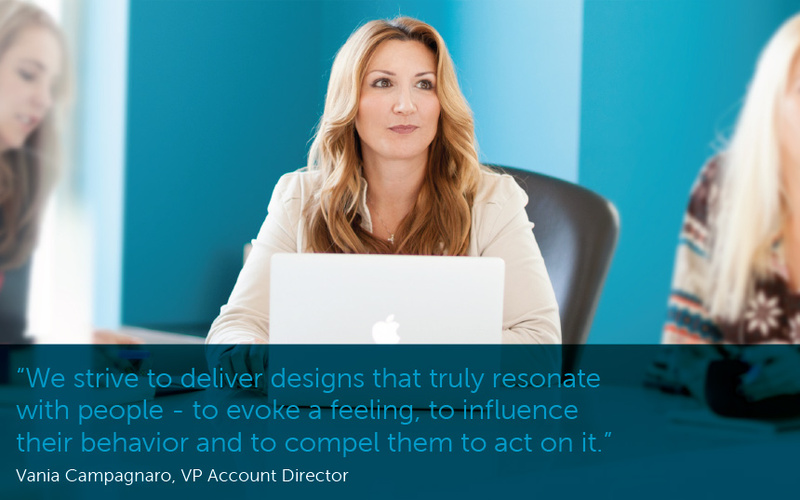 An innovative business leader, Kelly is passionate about creating desired consumer experiences that drive business and brand performance. 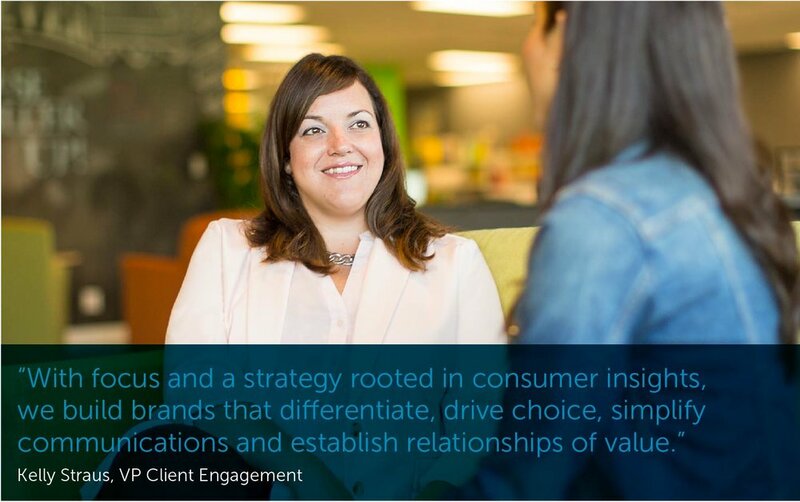 Leveraging a fully immersive 360 approach, Kelly uncovers progressive opportunities for clients, businesses, brands and consumers alike. Her unique blend of agency and client-side experience across a diverse range of categories and industries, in traditional and digital media, make her a trusted leader and collaborative thought partner who creates game-changing solutions and rewarding partnerships. Linda loves people and understanding what makes them tick. With the consumer in mind, Linda and her team dig deep into the behaviors and motivations of a category, applying relevant strategies that connect and ensure each brand has a clear voice. She injects a spark into every project as she partners with clients to achieve world-class compelling creative. With 20+ years experience, she has supported leading brands such as Dole Foods, Ford, Ferrero, Sun Products, Unilever and Walmart. Linda currently serves on the Packaging Association (PAC) Board. Luba believes that it is ideas that inspire people, move them and motivate them to action. Ideas are the currency of great design. Nurturing those ideas from inception into memorable brand expressions is her passion. With strategic thinking, thoughtful imagination and a cynical eye, Luba takes a hands-on approach to any challenge. The thrill of solving problems creatively, with clarity and beauty, drives and inspires her. Her commitment to design has supported such clients as Loblaws, Schwan’s, Starbucks, Cadbury, Kraft, Mondelez, Peller Estates and Pfizer. Don’t let his humble and politely opinionated exterior fool you. Mark’s dry wit and sharp creative speak volumes. Always open to hear ideas from any source and never afraid to ask a question, Mark makes collaboration between client and studio flow freely. 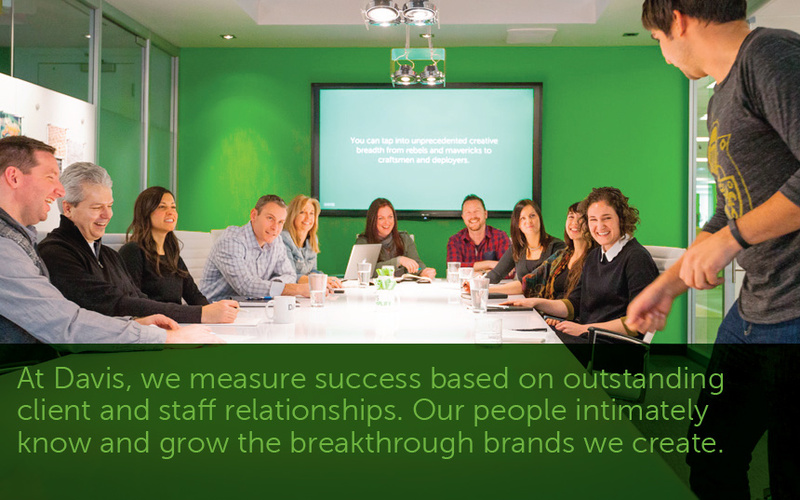 He leads with a critical eye, smart strategy and “dramatically simple” cutting-edge branding for our clients. With over 20 years experience, Mark’s current portfolio includes Bacardi, Benjamin Moore, Ford, Jack Link's, Kraft, Mondelez, Unilever and Vincor. Miriam’s 30+ years of experience as both a senior level marketing executive and strategic consultant has helped frame the business landscape of Tier 1 global companies such as Bacardi, H. J. Heinz, Kraft, Mondelez and Pernod Ricard. An unstoppable force of intellectual curiosity and perceptive reasoning, Miriam works closely with our account teams and clients to develop on-target strategies, assess new business opportunities, restructure portfolios, develop new products and revitalize brands. As our foremost globetrotter, Sara is always on the cusp of new trends. Her love of adventure has landed her on six of seven continents exploring cultures, consumers and their environments. Sara brings her contagious enthusiasm and sharp insights into every project, uniting the ambitions of our clients with spectacular and strategic design. As a confident and collaborative leader with 15 years of expertise, Sara has built strong and lasting relationships with clients including Unilever, Weston Bakeries, Andrew Peller and Kraft. Vania has an incredible talent for seeing a situation from every angle. Having 15 years experience on both the client and agency side, along with an affinity for branding and market trends, Vania makes the translation from brief to creative vision seamless. Her collaborative enthusiasm, sharp wit and down to earth nature combined with a committed focus on process excellence always deliver winning strategies. Vania’s brand building solutions have benefitted clients such as Kraft, Mondelez, Unilever, Nestlé, Parmalat, Johnson & Johnson, Benjamin Moore, Corby Distilleries and Cadbury Adams.